However, the county's CEO Jay Orr wants Riverside County to be known for something else—for being the best place in America to live. Orr believes that the delivery of "customer-centric public service that is better, faster, and fiscally prudent through technology" is critical to making this vision a reality. To help accomplish this, the county has adopted a new enterprise GIS strategy that makes extensive use of ArcGIS Online. 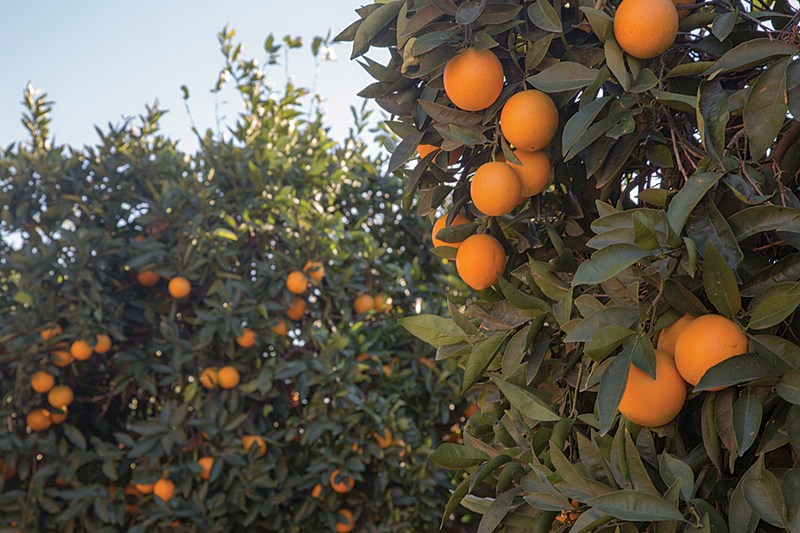 The decision was made to move from a collection of individual GIS implementations to a truly enterprise-wide GIS centralized in the Riverside County Information Technology (RCIT) department. 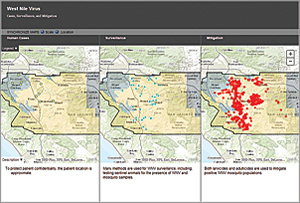 The county's enterprise GIS is not designed to be a one-size-fits-all solution. Riverside County CIO Kevin K. Crawford noted that while it transcends departmental interests, enterprise GIS must support departmental and operational requirements. It must serve, not detract from, the business functions of each department and be implemented to meet the varied business requirements of county agencies. The goal is not just sharing automated data but improving business processes. "The principle purpose is to implement a shared vision for the use of GIS and geographically based data," according to Colby Cataldi, assistant CIO, who oversees enterprise GIS. "The vision represents the crucial outcome of action, direction, purpose, collaboration, and willingness to bring the best thinking into discussion about global issues that may appear to be unique to a department or agency but may also affect departments countywide." 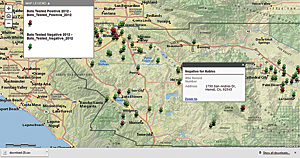 In 2012, the TLMA GIS group moved to RCIT and the county created the Geographic Solutions Division (GSD), which manages the county's enterprise GIS. 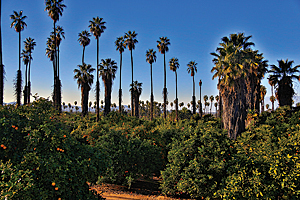 GSD supplies a variety of geospatial services not only to internal customers but also to the Southern California Association of Governments (SCAG); University of California, Riverside (UCR); the Western Riverside Council of Governments (WRCOG); and the Coachella Valley Association of Governments (CVAG). 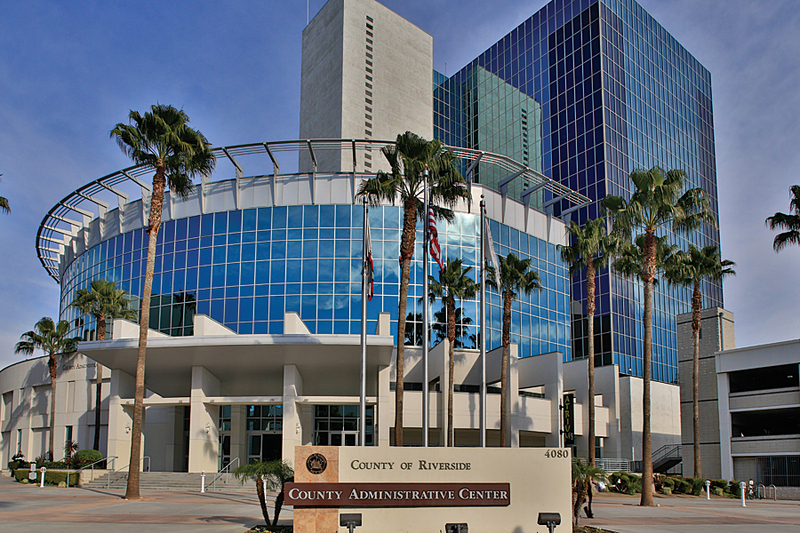 With its ELA, Riverside County gets an ArcGIS Online organizational account that provides a large block of named users and credits. 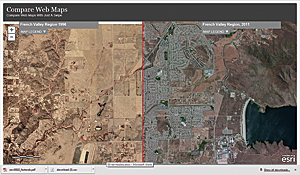 This opens up GIS resources to the entire organization as maps, apps, data layers, and web services, eliminating the learning threshold that had limited access to and benefits from the county's GIS. 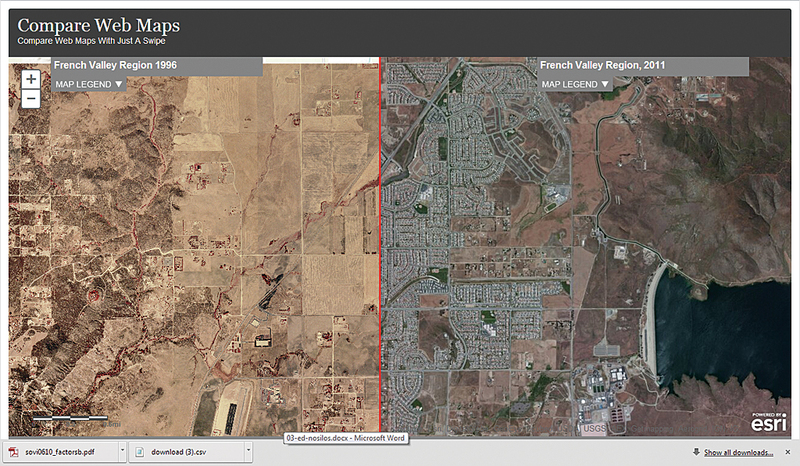 ArcGIS Online is seen by the county as a key component of its enterprise strategy. Implementing ArcGIS Online "will transform the way we spatially interact with data and information," according to Tom Mullen II, assistant CIO. "The ability for policy makers to spatially see the affected areas of the county and how citizens are cared for, in an interactive map, adds to their depth of knowledge and understanding of the unfolding events and how best to effectively respond to the areas of greatest need in a dynamically changing environment. It provides a department [with] the ability to spatially visualize relationships between services they provide and the communities they serve in an interactive map," said Mullen. The county's externally facing sites furnish information to county residents and the general public. These sites also promote government transparency. 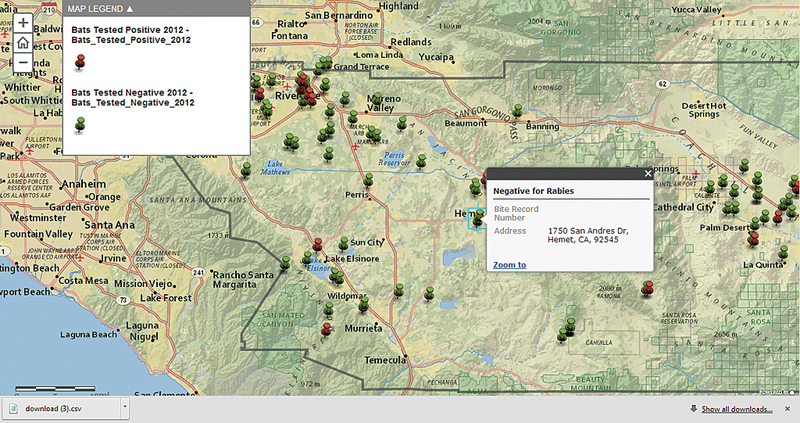 One of the first sites to take advantage of ArcGIS Online capabilities was the Meet the Supervisors site. Using an Esri story map template, this site introduces each supervisor, indicates the location of the district served by that supervisor, and links directly to individual district websites. 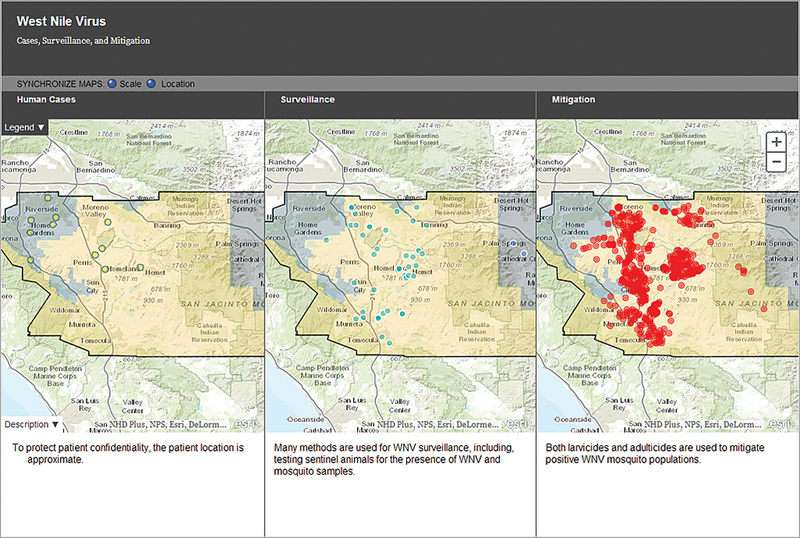 Some ArcGIS Online maps, like the Licensed Healthcare and Social Vulnerability map, help policy makers identify potential problems so they can be mitigated. On this map, care facilities, services, and clinics are mapped against the USA Social Vulnerability Index (SoVI), which measures the vulnerability of US counties to environmental hazards based on factors that may reduce a community's ability to recover from floods and other hazards. A clearly enunciated vision of the role of GIS in the county and buy-in by the top departmental leadership have contributed to the success and growth of enterprise GIS. 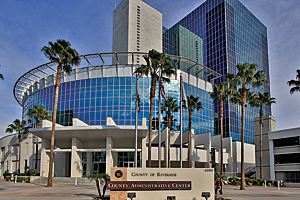 By eliminating redundant and competing systems, the county is saving both time and money. ArcGIS Online is making information in the county's GIS directly available to knowledge workers and decision makers in a timely fashion. The enterprise GIS remains a work in progress according to the county's CIO. The county will focus on the five patterns of GIS business behavior: data management, planning and analysis, field mobility, operational awareness, and citizen engagement. "Moving forward, Riverside County will develop and deploy a common GIS standard and continue to leverage the power of geographic data in an effort to expand the use of shared information; improve the business processes; and promote more timely, informed decisions," said Crawford.